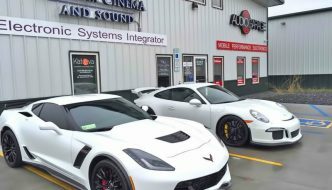 Apple CarPlay and Android Auto smartphone integration systems are extremely popular features found in aftermarket source units from all the key brands. 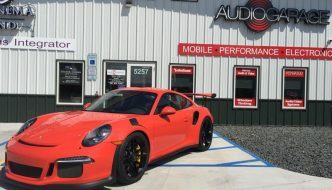 The technology behind CarPlay and Android Auto continue to evolve, and in the summer of 2017, the aftermarket industry saw the introduction of wireless CarPlay connectivity. Android followed suit in 2018 with a comparable solution that didn’t require cables. Let’s take a look at how wireless smartphone integration works and why it might be the perfect solution for the busy road warrior. How Do CarPlay and Android Auto Work? These infotainment solutions require two components to provide you with Internet-connected voice recognition access to your music, navigation and communication functions. First and foremost, the source unit in the vehicle needs to have the software built in. Including CarPlay and Android Auto in a multimedia receiver is a massive undertaking for a radio manufacturer. 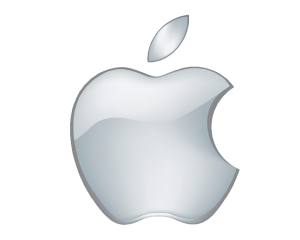 More so on the Apple side, because there are very strict and specific requirements for display size, interface design, processor speed and hardware components. The goal is to ensure that the experience for you, the consumer, is a good one. It can take several years of design, testing and approvals to bring a new radio model to market. When you want to make a phone call or pick music to enjoy, you activate the voice recognition function on your radio and verbally request what you want. 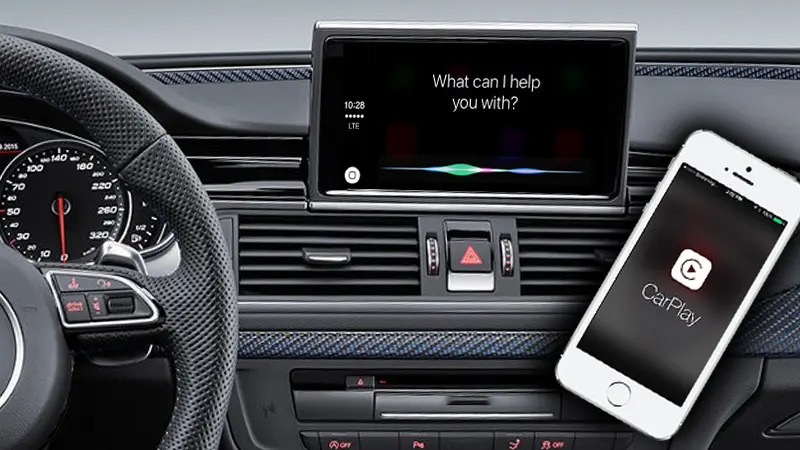 The radio will relay a digital recording of your request to the Apple or Google voice recognition servers using your phone’s Internet connection. The server will analyze the message and translate that into a command or sequence of commands that are sent back to your phone. Your phone will execute the command and display the outcome on your radio. Up until recently, the connection between your phone and the radio for CarPlay and Android Auto has used a USB cable. With the introduction of wireless connectivity, things have changed. 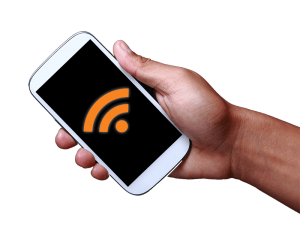 A Wi-Fi connection between your source unit and your smartphone replaces the wired connection for reliable, high-speed communication. Initially, a little more setup is required to get your smartphone and radio talking, but once configured, everything operates intuitively. Contrary to some reports that claim wireless CarPlay started with iOS 9, this functionality launched with the introduction of iOS 8.3 in April 2015. It was several years before anyone had a viable and tested application on the road. Remember our comment about development and testing time? 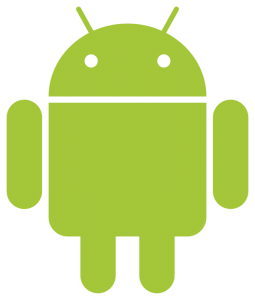 In November 2017, Google announced the ability for devices running Android to run Android Auto as a stand-alone app without the need for an aftermarket source unit. At CES 2018, several aftermarket manufacturers announced they would include wireless Android Auto connectivity on their new source units. At the time of launch, only smartphones from Google themselves would work with wireless Android Auto. These phones include the first- and second-generation Google Pixel and Pixel 2, the Nexus 5X and the Nexus 5P. Rumors began circulating in the summer of 2018 that some devices running the Oreo version of the Android operating system (Android 8.1) may become compatible with wireless Android Auto in the future. These rumors also include speculation that devices running Android P (the next version of Android, presumably called Android 9) will support wireless connectivity with more devices. Do You Need Wireless Smartphone Connectivity? There are have been many discussions about the benefits and drawbacks of wireless connectivity. The biggest point of debate is around phone charging. In most cases, drivers take advantage of the ability to charge their phones when they get in their vehicles as they travel. For most people, this requires that the USB cable is connected to their phone. With that said, the Apple iPhone 8, 8 Plus and X include wireless charging. On the Android side, recent devices from Samsung, LG, Google, Microsoft and Blackberry include wireless charging. 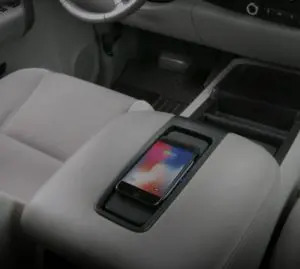 Flipping back to the cons side of the debate, you need a wireless charging base in your vehicle to take advantage of the wireless charging feature. Vehicles from Audi, BMW, Chrysler, Ford, Honda, Mercedes-Benz, Toyota, Volkswagen and Volvo include Qi compatible charging solutions. Qi is the standard for wireless charging for Apple devices. 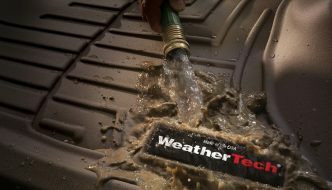 Don’t fret: Several aftermarket suppliers, including Scosche, Belkin, Autoleads and Brandmotion offer wireless charging solutions that a mobile enhancement retailer can integrate with your vehicle. 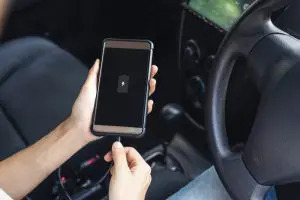 If you are in and out of your vehicle often during the day, wireless smartphone connectivity, just like Bluetooth, is an ideal solution to get you connected quickly and easily. Without a way to charge your phone, you will want to keep an eye on the battery level, especially on long drives. 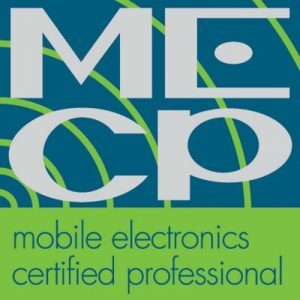 To find out about the wireless smartphone connectivity and charging options that are available for your car, truck or SUV, drop by your local mobile enhancement retailer today and speak with one of their product experts.